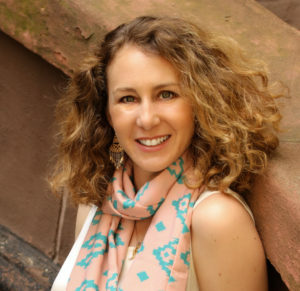 Jill Santopolo is the author of the nationally and internationally bestselling novel The Light We Lost, which has been translated into more than 35 languages and has hit both the New York Times and USA Today bestseller lists. She is also the author of the Alec Flint Mysteries, the Sparkle Spa series, and the Follow Your Heart books. Jill holds a BA in English Literature from Columbia University, an MFA in Writing for Children from the Vermont College of Fine Arts, and a certificate in Intellectual Property Law from NYU. 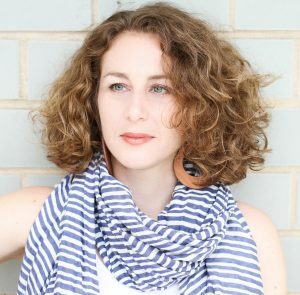 She is the associate publisher of Philomel Books, an imprint of Penguin Young Readers Group, where she edits many critically-acclaimed, award-winning, and best-selling books including Girling Up by Mayim Bialik, She Persisted by Chelsea Clinton and Alexandra Boiger, A Tangle of Knots by Lisa Graff, A Land of Permanent Goodbyes by Atia Abawi, The Castle in the Mist by Amy Ephron, Calling All Minds by Temple Grandin, Peanut Butter & Cupcake! by Terry Border, Turning Pages/Pasando Paginas by Justice Sonia Sotomayor and Lulu Delacre, and Superheroes Are Everywhere by Senator Kamala Harris and Mechal Roe. Jill has worked as a thesis advisor at The New School in their MFA program in Writing for Children and Young Adults and was on the faculty of the Columbia Publishing Course. She was also formerly an adjunct professor at McDaniel College, where she helped develop the curriculum for their certificate program in Writing for Children. Jill has traveled all over the U.S.—and to Canada and Europe—to speak about writing and storytelling. She lives in New York City. I grew up near the beach in Hewlett, New York with my parents, two sisters, various fish, birds and dogs, and a large number of books. When I was three, I wrote my first story. It was about a magical cat named Stacey who turned people into mats. It was not particularly good, but I had a great time writing it—or so I’m told. I illustrated it, too. Looking at the pictures now, it’s kind of hard to tell the difference between the cats, the people, and the mats. All through elementary school I stapled pieces of paper together into books and wrote stories on the pages. I often asked my friends to illustrate them. I wrote about aliens, my grandparents, historical figures—and I even penned a sequel to the movie Grease, because I wanted the main character, Sandy, to be friends with a girl named Cha-Cha DiGregorio at the end. I loved reading just as much as I loved writing—especially mysteries about Nate the Great, the Boxcar Children, the Bobsey Twins, Cam Jansen, Encyclopedia Brown, Einstein Anderson, Nancy Drew and the Hardy Boys. I also loved the There’s Something Queer books by Elizabeth Levy. So when I found out Elizabeth Levy was going to visit my school, I was so excited that I wrote a book for her (my friend drew the pictures)—it was called ‘There’s Something Queer in the Auditorium’. I’ve never been a very good speller, so I actually wrote ‘There’s Something Queer in the Ataroryum’, but Ms. Levy got the idea. I guess you could say that’s the first mystery I ever wrote. Throughout middle school and high school, I kept writing. I wrote short stories, poems, plays, essays, and articles for the school newspaper. And when I wasn’t writing (or dancing or acting or singing or playing the flute or hanging out with my friends), I was reading. I fell in love with the A Tree Grows in Brooklyn and Harriet the Spy and Jacob Have I Loved and the Babysitters Club and The Sunset Island books. In fact, I loved reading so much that I majored in English literature when I went to Columbia University. While I was in college, I also started working for a publishing company. Then, after graduation, I got a job editing children’s books. A few years later, I decided that I wanted to study writing some more, so I applied to Vermont College to get a masters degree in writing books for kids, and a little after that I applied to NYU because I wanted to learn about the laws governing intellectual property. At around the same time, Scholastic decided to publish the books I wrote about Alec Flint. Then I got a new job editing books at Penguin in their Young Readers Division and started thesis advising at The New School University and teaching at McDaniel College. Soon after that both Simon & Schuster and Puffin decided they wanted to publish my Sparkle Spa and Follow Your Heart books. So now my world is filled with the books I edit, the books I teach, and the books I write. Even though I live in a small apartment in New York City, I have seven big bookshelves. One of them is dedicated to books that I’ve written and edited. And the first book on that shelf? My faded, battered copy of ‘Stacey the Cat’.